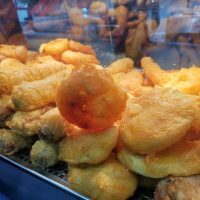 You’re probably all getting bombarded with deals and offers from shops and retailers at the moment. 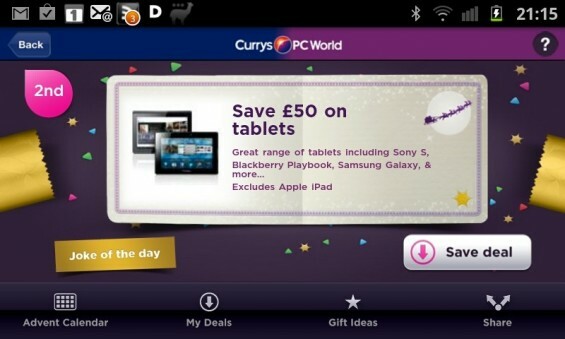 Well, the guys at Currys and PC World have promised to buy me a brand new TV* if I pimp their Christmas Deals app. It’s basically an advent calendar, and each day you open a cracker to reveal a special deal. 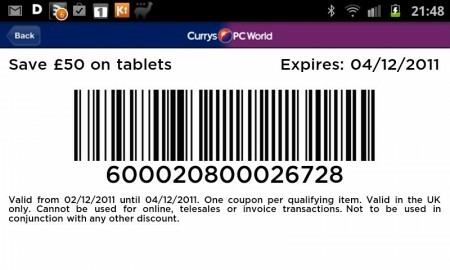 It’s available for Android or iPhone and today, if you’re quick, you can get £50 of tablets. You’ll need to open the deal each day to be able to save them, and then it’s simply a matter of showing them the barcode at the till.